Aim high! 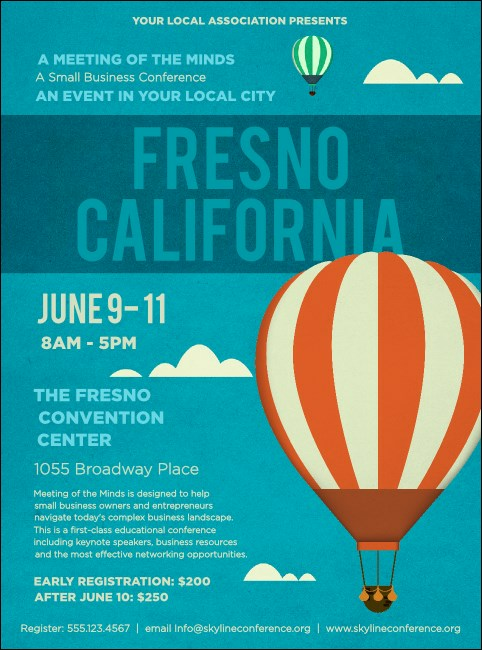 Get ready to see your event attendance soar with this colorful, regional Fresno Flyer. Whether you're are hosting a small local event or expecting a big, out of town crowd, this flyer depicting hot air balloons can help to leave your attendees flying high with anticipation. Bring a little color to your regional event with collateral from TicketPrinting.com.